Whozwho is a cloud based smart applicant tracking and ranking (ATS) system designed for SMEs that combines behavioral science with a smart shortlisting tool to help match people to jobs, and jobs to people. 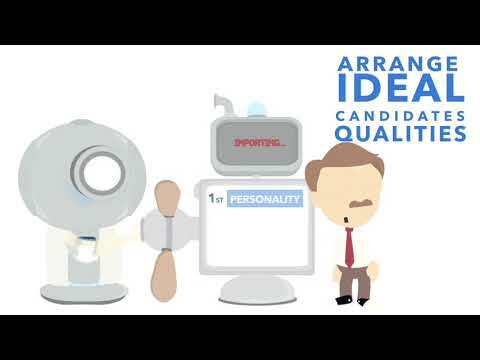 The solution uniquely sorts, ranks and prioritizes candidates based on custom selection criteria, including personality and job fit. Companies can raise a job and post to top job boards such as Indeed in real time. With Indeed as a trusted global partner, users can set up a position on the Whozwho platform and the candidate application form will be automatically generated, ensuring a seamless experience for candidates. Whozwho enables one-click, multi-post job postings to a list of supported social and job boards to help organizations advertise as broadly as possible. Users can set basic position information such as pay and employment type, specific selection requirements for experience, education and work availability, as well as personality requirements to find a good cultural fit. Whozwho uses advanced behavioral science to help organizations take the guesswork out of recruitment, giving an in-depth view of candidates in their shortlist. The solution’s algorithms automatically sort all candidates in real time based on the company's previously set personality and selection requirements. Users are also able to personalize and set their own methodology to shortlist, sort, prioritize and select candidates within Whozwho. I am saving alot of time by not having to read through full CVs but still getting the same amount of information. My HR manager especially found the personality test and information helpful for staff training and dispute resolution. I liked the accuracy of the personality test. So far I have found that the employee that I have hired through Whozwho has matched my expectations. I particularly like the ability to bookmark the progress of each applicant through the hiring process. The way that each job candidate is cross referenced against my company's needs was also useful as I didnt have to read through multiple CVs. The great feature of Whozwho is that I was able to save money in job advertising. Whozwho gives job advertising on Indeed, Jora, SimplyHired, Adzuno and Gumtree included in their price. I liked the accuracy of the personality test. So far I have found that the employee that I have hired through Whozwho has matched my expectations. I particularly like the ability to bookmark the progress of each applicant through the hiring process. The way that each job candidate is cross referenced against my company's needs was also useful as I didnt have to read through multiple CVs. The great feature of Whozwho is that I was able to save money in job advertising. Whozwho gives job advertising on Indeed, Jora, SimplyHired, Adzuno and Gumtree included in their price. I think that one or two of the personality questions were somewhat complicated. I would love to see a feature where I can email my candidates through the app although I'm not sure if this is possible. Used it to post two job openings and review the applicants. We are in the final stages of hiring.Prioritization of applications, Personality Test, Skills Ranking, Experience Ranking. For each section that you add to a job application, Whozwho allows you to rank it. For example, the skill of C#, you can specify that you are looking for someone who is intermediate. Anyone who self-assesses as less then intermediate gets ranked lower. This is the same for other criteria such as length of employment, education level, etc. It also auto-posts to Indeed, a great time saver. Price is right for small-business users. Test every applicant for job-fit using Whozwho's advanced behavioral science features and take the guesswork out of recruitment. View a ranked applicant list in real time based on dozens of selection requirements such as experience, personality, education, availability, and more. Eliminate the tedious task of sorting through hundreds of resumes and spend less time shortlisting with Whozwho's hiring assistant feature. Post to top job boards and social channels through seamless integrations to a variety of platforms. Whozwho is fully integrated into the Indeed Apply process, ensuring a seamless experience for candidates. Below are some frequently asked questions for Whozwho. Q. What type of pricing plans does Whozwho offer? Q. Who are the typical users of Whozwho? Q. What languages does Whozwho support? Q. Does Whozwho support mobile devices? Q. Does Whozwho offer an API? No, Whozwho does not have an API available. Q. What other apps does Whozwho integrate with? Q. What level of support does Whozwho offer?